Do you love history? Would you like to share that passion for history with the youth of today? 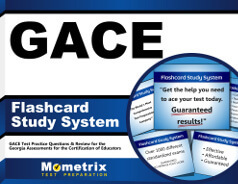 The GACE History Assessment might just be the thing for you! The GACE History Assessment is a test designed for individuals desiring to become history teachers in the state of Georgia. This test is computer-based in format and assesses the skills necessary for teaching history at the secondary level. The assessment consists of 2 different tests, which may be taken individually or together on the same day. 2.5 hours are given to complete both Test I and Test II, with 30 minutes built in to each test for computer tutorials. Both tests assess not only basic knowledge needed to teach history, but also the ability to apply this knowledge in an educational scenario. Each test is made up of 65 selected-response questions, such as matching, multiple choice and/or true-false questions. Most tests also include some extra selected-response questions, which are not included in the actual test scoring, but are used to determine test-taker performance. Test I is divided into 2 subparts: World History to 1450 C.E., which is worth 40% of the total score and World History from 1450 C.E. to the Present, which is worth 60% of the total score. Test II is divided into 3 subparts: United States History to 1877, which is worth 40% of the total score, United States History from 1877 to the Present, which is worth 40% of the total test score and History of Georgia, which is worth 20% of the total test score. Testing windows are offered all throughout the year, with test results usually available approximately 2 weeks after specific test dates. 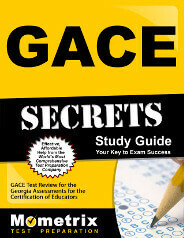 Are you wondering how to prepare for the GACE History Assessment? Several study aids are available to help you prepare for this assessment in different formats. Some of these include tests at a glance (which give a quick overview of the assessment), interactive practice tests, tutorials, videos and even webinars! These tips and strategies are sure to help make your test-taking experience a positive one. Do you have a future teaching others the stories and lessons of the past? Register for the GACE History Assessment today and pass on your love and passion for history!